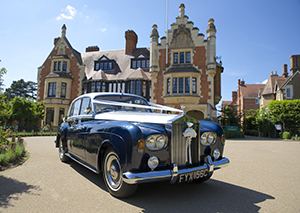 We offer a classic Rolls Royce wedding car service in the form of our beautiful Silver Clouds. We now have 2 Silver Clouds in our fleet. 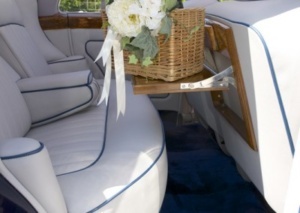 There can be few people unaware that Rolls Royce motor cars provide luxury, comfort and style. Sheer elegance and a real sense of occasion await you with these spectacular cars. 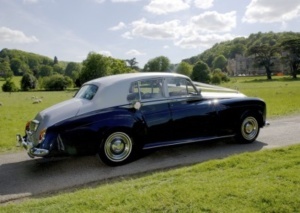 It is easy to feel special travelling in the luxury and presence of a Rolls Royce! Unable to find a car in the condition we wanted, we acquired the best car we could find and then had it fully stripped and restored including re-trimmed soft leather seats, wool carpets and luxurious sheepskin rugs. A lovely example of the classic Silver Cloud. My wife and I would like to thank you for all your help and services on our big day. The whole day could not have gone more smoothly and a large part of this was due to you getting my bride and me to where we needed to be on time in your beautiful and immaculate Rolls royce. The service you provided was relaxing and professional with patience, which is everything we wanted on our special day. Ribbons, plate and champagne were a nice touch which makes it all a bit more personal.